Available from the Smart Lock settings, the new Trusted Voice feature allows users to access their devices by simply saying “OK Google.” Now as you can imagine and as Google warns, the voice recognition unlock is more in-line with facial recognition, and isn’t as secure (or as reliable) as the typical PIN option or custom swipe pattern entry already found on our devices. 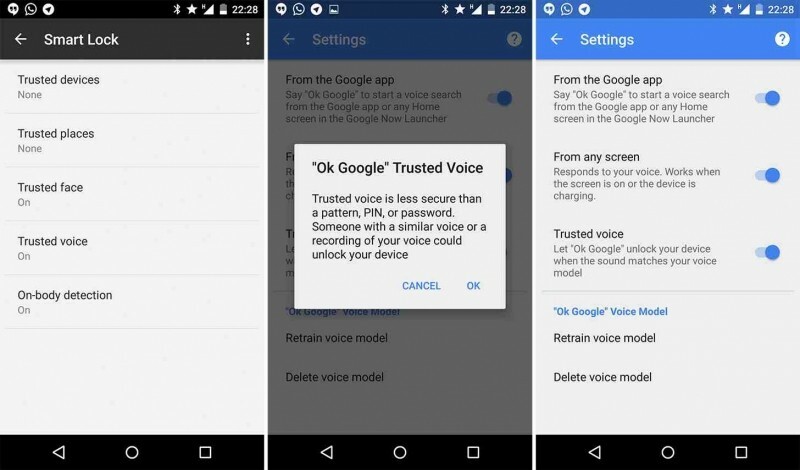 Reports suggest the new feature is now rolling out, but it appears to be a slow one with only certain Android devices seeing the new Trusted Voice option so far. There are no specific timelines available but most users should start to see it soon.